When we say Peru, we imagine the things that spring to mind are Machu Picchu, The Andes, and the Amazon rainforest… Are we right? 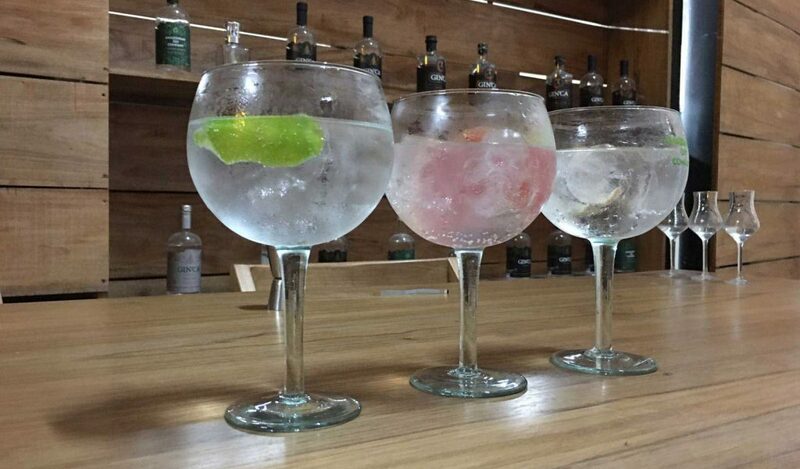 But what is we told you that it is actually an absolute bustling hive of gin related activity…?! We found ourselves spending a fair amount of time in Peru’s capital, Lima, and naturally made our way around the many bars that the city has to offer. 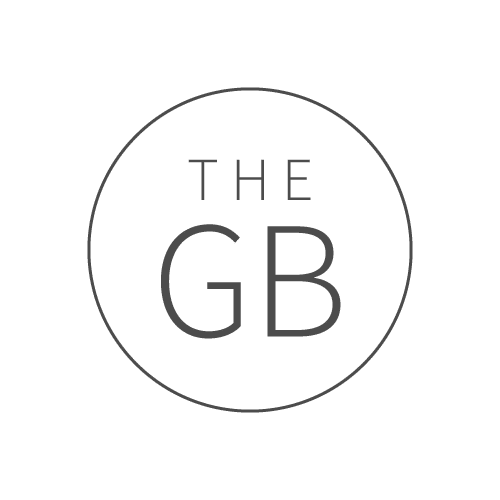 However, we were pleasantly surprised to discover a distillery that has become one of our favourites, producing some of the best gin we’ve actually ever tried. The Inca Distillery is hidden away in a small warehouse, in the middle of an unsuspecting industrial estate, on the outskirts of the city. We were welcomed with open arms by head distiller and founder, Eric, who was more than happy to show us around his gin laboratory. Although it was packed full of boxes ready for export, the beauty of the old machine factory was still plain to see. It has been completely renovated using Amazonian timber and cement from the Andes, and it looks incredible. There is neon signs, beautiful artwork, and a beautiful single copper still, standing proud, in the middle of all of the chaos. 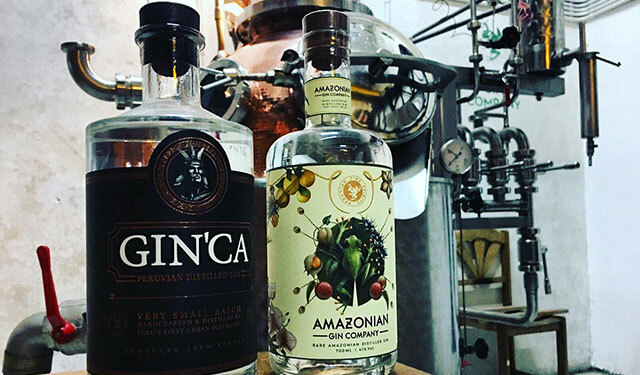 The Inca Distillery produces two incredible gins, Ginca and Amazonian gin. Both products celebrate Peru’s diverse nature and landscapes, and use ingredients that can only be found in the country. Peru is much more than just Pisco! 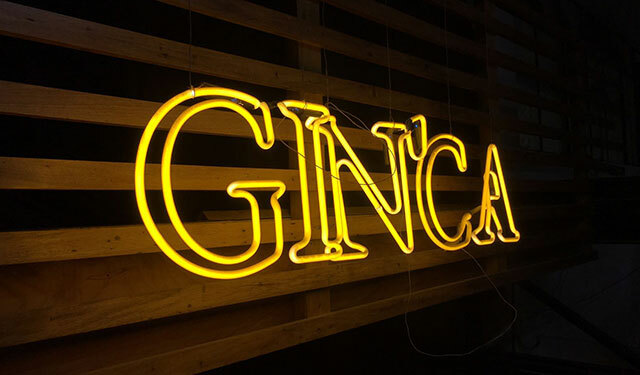 Ginca was the Inca Distillery’s first premium gin, and they wanted to make a ground-breaking product. Eric told us that they asked themselves one question, “why should we follow in the footsteps of others, and make a gin like everywhere else in the world?”. And so, they created something completely unique, and something completely Peruvian by using ingredients sourced from all over this fantastic country! Ginca’s base spirit made from Peruvian sugar cane, and uses spring water that comes from high up in the Andes, over 5,000m above sea level! Nine special Peruvian botanicals are blended with Macedonian juniper berries to create a gin with a wonderfully unique flavour. This gin packs a huge citrusy punch and is unlike anything we have tried before! The bottle and the branding is wonderfully simple, yet eye-catching – perfectly apt for such a stylish company. Similarly to Ginca, the botanicals for this gin are all grown in Peru itself. 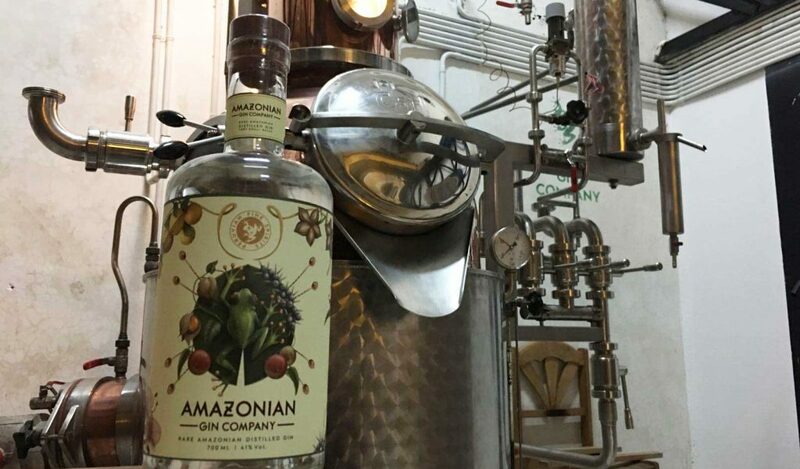 They are are grown in the Peruvian Amazon rainforest, which sets this gin aside from all of the others on the market. An unusual mix of fresh Amazonian fruits including camu-camu, tonka bean, sasha inchi, and aguaymento, all grown by local farmers, are combined with a base spirit made from sugar cane. These ingredients give this gin a truly unique South American flavour. South America is a continent where every corner is packed full of flavour, and Peru is very much at the heart of this. Amazonian has made used the country’s unique produce to create something that is wonderfully special. These local botanicals give Amazonian gin a flavour that we cannot compare to anything else we’ve tried. It’s fruity, it’s sweet, and it’s classic, all at the same time, but it’s nothing like you already know. You definitely need to get a bottle and see what we mean! 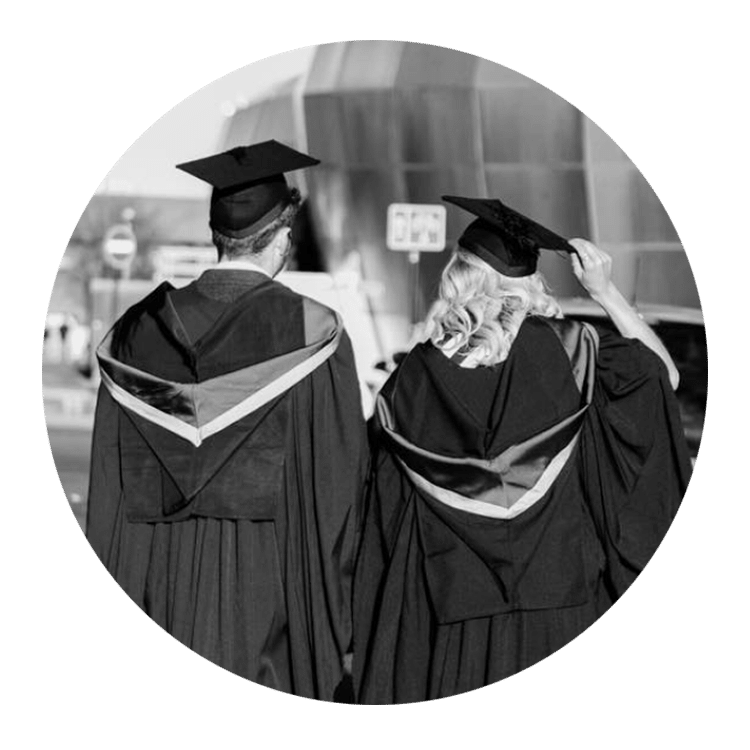 After a few months of passive aggressive wall-knocking and sliding notes under the door, it took a first date – that turned into an eleven drink-long bar crawl – to realise we had a lot in common. Travel, food, and gin.